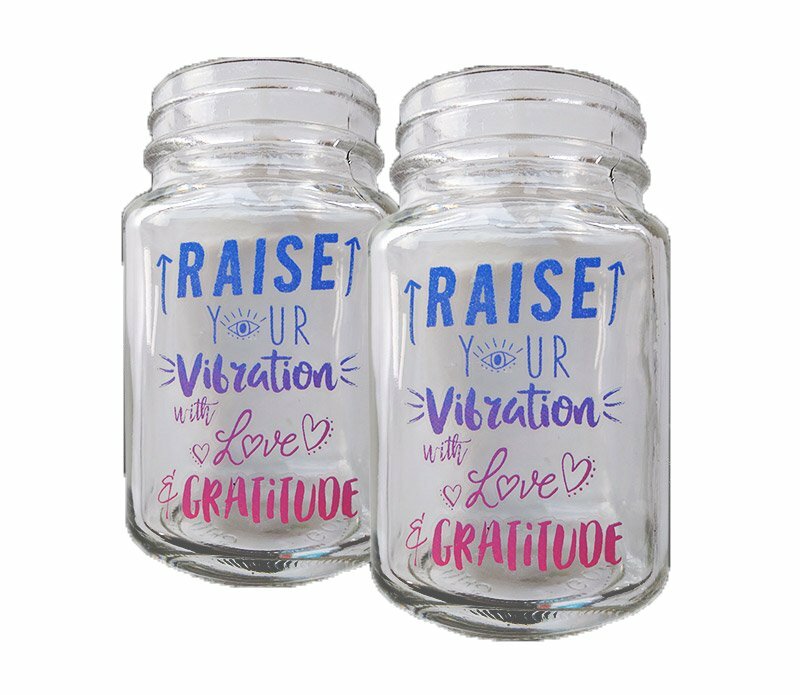 These glass mason jars feature a special edition screen printed design by Goddess Provisions to supercharge your water or favorite beverage with love & gratitude. They can be used for drinks, as part of your altar, desk decor, or as flower vases. Each set includes 2 mason jars. These are classic Mason jar size, fitting about 16 oz of liquid and measuring approximately 3 1/8” wide and 5” tall. Wash by hand to preserve the design.